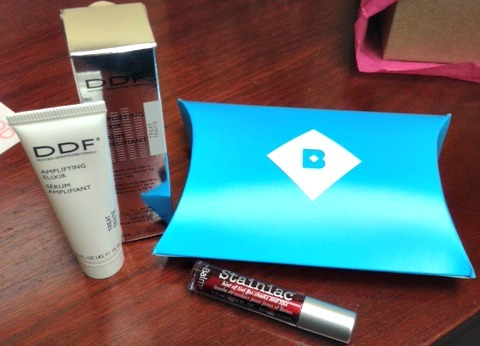 Its time to open my November Birchbox! 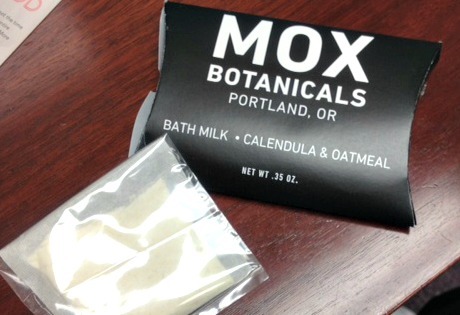 I am excited to see what is in this months box as the theme is ‘More Good’. So this is what my box looks like when it arrives, I open it and all of the fun things I received! Next in the adorable little blue envelope is DDF Amplifying Elixir and theBalm Stainiac in ‘Beauty Queen’. Not sure how the DDF Amplifying Elixir will work for me it says on the description card it is for boosting your natural moisture barrier, not even sure what that means but at $70 for a full size product, it had better work miracles! I have never tried a product from theBalm I didn’t like so I am excited to try this cheek and lip stain. I have never used this product before so a review will follow. Next is guess what… A nail polish! If you read my last post on my Ipsy bag you know how I feel about nail polish. I have way too many as it is and I am rarely excited by the color I receive as I have at least two of the same or similar enough color in my ever expanding collection. 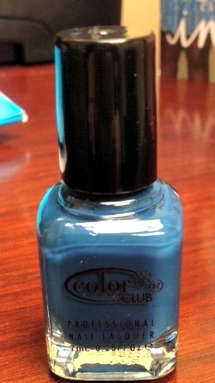 This is from the Color Club Collection and is in the color ‘Baldwin Blues’. 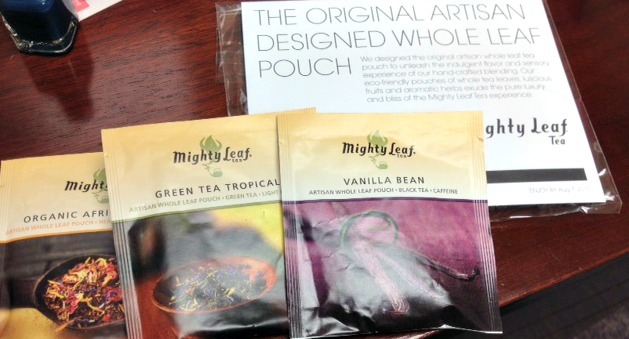 Lastly for my “Lifestyle Extra” I received three samples of Mighty Leaf Tea. How weird is it that this is perhaps what I am most excited about?! This is a beauty box and I am most excited about the tea samples… What can I say working in a tea room for 3 three years does that to a girl. My samples are Green Tea Tropical which is obviously a green tea; Vanilla Bean which is a black tea; and Organic African Nectar which is a herbal tea. I may save these for January and let them become my tea of choice during Downton Abbey. Hello Beauties! 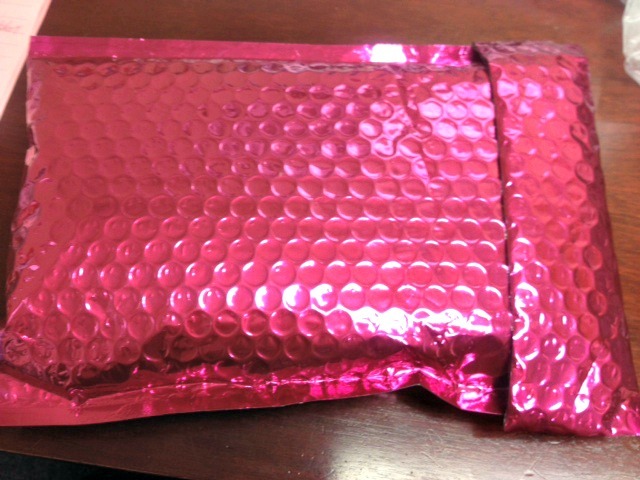 So I decided to start sharing what I receive in my Ipsy bag with you all. And I will do my best to use every product and write a review about it here. If you are not familiar with Ipsy it is a beauty subscription service that cost $10 a month. When you sign up you fill out a survey about your likes and dislikes regarding beauty products so each bag is customized to you. This is my third Ipsy bag and so far I am very happy with what I have received. Like any subscription box/bag, you may always find a few things you don’t like but I have yet to be totally disappointed with an entire bag. I am also subscribed to Birchbox which is a beauty box that is also $10. If you would like me to do a comparison between Ipsy and Birchbox please let me know and I will write a post. And when I opened it this is what greeted me! First off, I love love love the bag!! This is the first bag from Ipsy that I would actually use. The others I have received were ok, but did look on the cheap side. 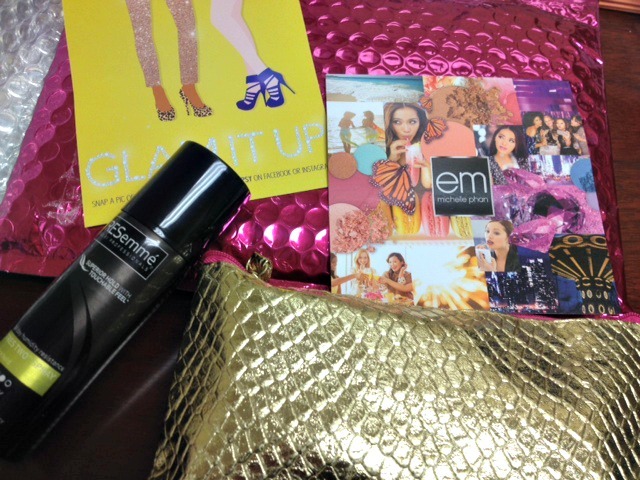 This one is really nice quality and totally fits with the November theme of “Glam It Up”. First off is a Travel Size TRESemmé Extra Firm Control hairspray. This is perfect timing as I leave tomorrow on vacation to Hawaii. Now on to what is actually inside the adorable gold bag! The first thing I see when I open the bag is a .em Michelle Phan Lip Balm in the color ‘Sorbet’ I have never used any products from Michelle Phan’s makeup line so I am excited to try this. Next we have a eyeliner from StarLooks in the color ‘Topaz’ this liner is super soft so I am worried that it may be too soft and easily smudge and leave me with Topaz colored raccoon eyes. I don’t know if you can tell in the swatch but the color is very metallic silver and has lots of sparkle, so it definitely has the ‘Glam It Up’ look. 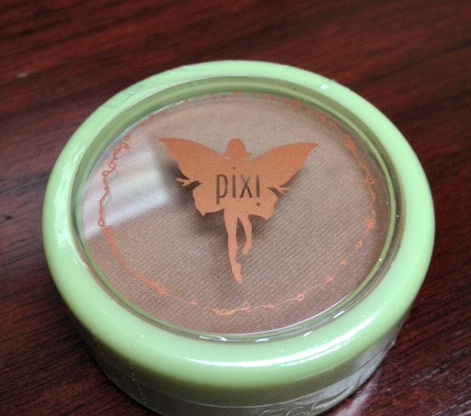 Now I see a Pixi Beauty Bronzer in ‘Subtly Suntouched’. I am very excited to try this as with my fair skin it is hard to find a bronzer that is not too orange or too dark. This color looks about right. 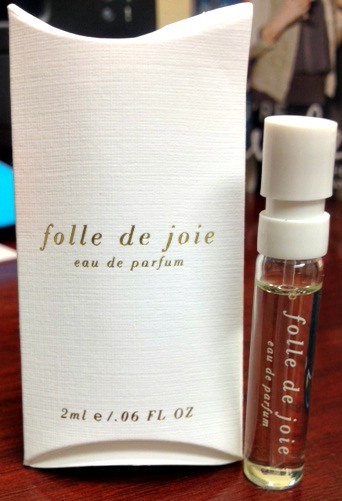 And guess what I see next… a nail polish! Ok the color is nice but seriously I have sooo many nail polishes and to me this color is nothing special, I am sure I can find a dupe easily in my own collection. This is from Nailtini in the color ‘Champagne’ which looks like a sparkly rose gold. 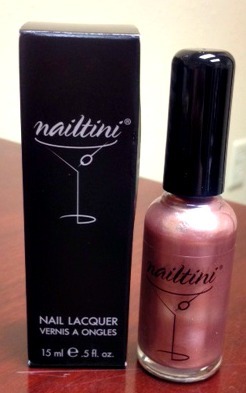 I have never used the brand Nailtini so I am anxious to try this see how the formula applies and wears. 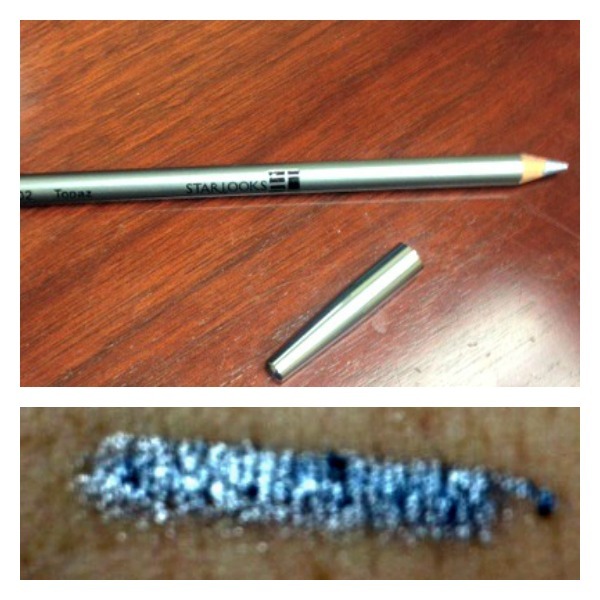 And lastly I have a lip crayon from be a…bombshell (side note, love the name!) in the color ‘Hot Damn’. This shade looks like a cross between a pinky red and a orangey red. I can’t really say which it is so I am going to say it is a pink-orange red. 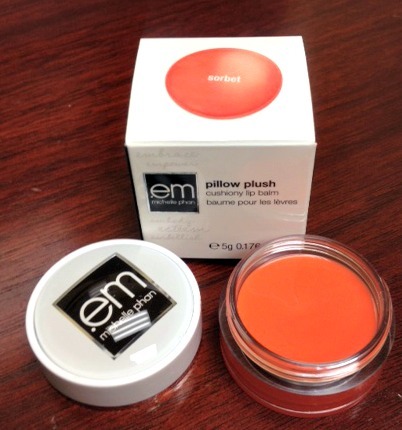 I am also excited to try this and from the swatch it goes on very smoothly and has a nice finish. I will wear it one day and report on staying power and glossiness.